A Stunning Personalised Unicorn and Princess Musical Jewellery Box. 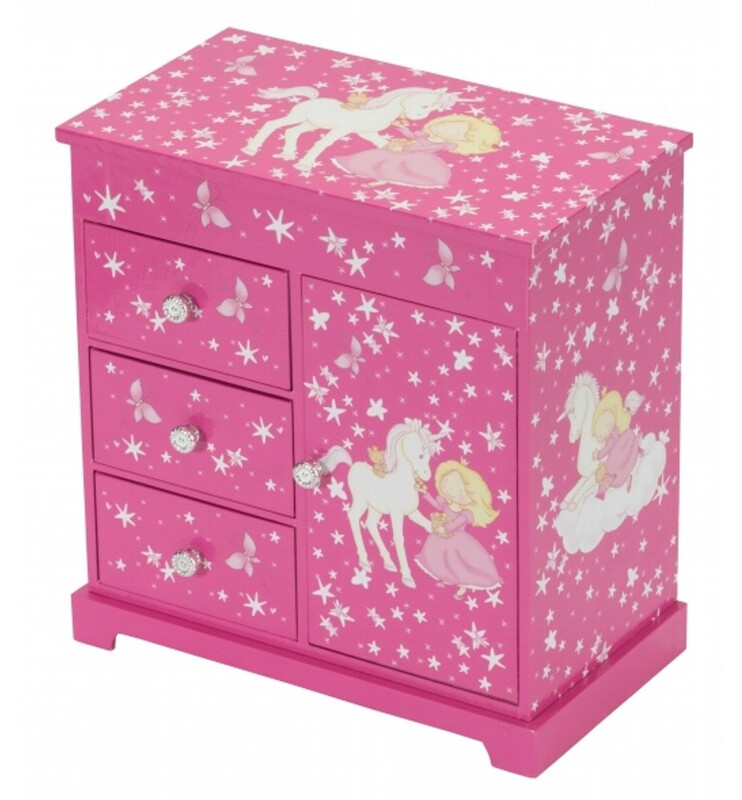 Beautifully decorated with a unicorn, stars and butterflies design, lift lid with interior mirror, twirling ballerina, the musical box plays 'Beautiful Dreamer'. 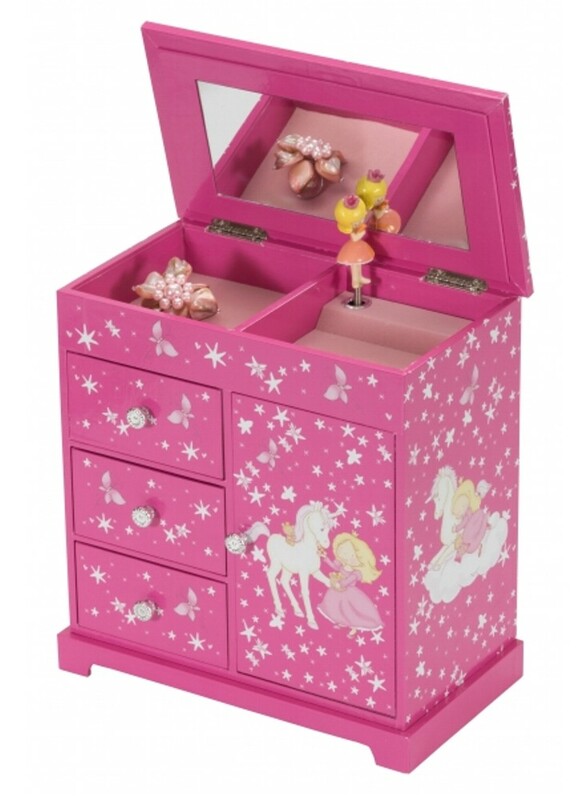 It has two open storage sections on top, three open drawers on the left, necklace carousel and mirror with door on the right. Hand lined in pink suede fabric. Size 23 x 13 x 23 cms.